Ah, that's better! ;)..oooh, look at George Davidson on the right of this page.....that's lovely! Beautiful, why are mine not looking like this.....tips please Tet!! Well most do here BA, but I seem to have lost Solfatare and Jackanapes. its nearly time to dig up my Star of the East..got to send some to Spritz and SBG! Yes Ive had Lucifer for years..never lose that one! See who else is growing Crocosmia x crocosmiiflora (Montbretia). 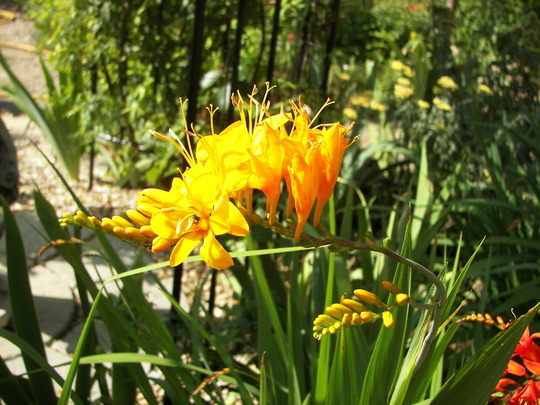 See who else has plants in genus Crocosmia.